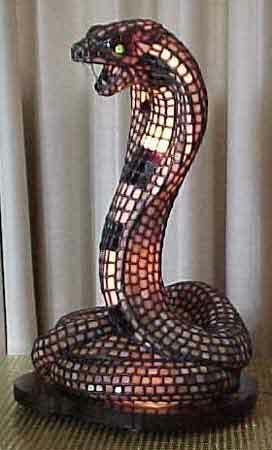 < Welcome to our home page, please feel free to view all of our Three Dimensional Stained Glass Sculpture Lamps. When you look at our web site on our stained glass animal sculptures & lamps, you will be entering a new dimensional world of Stained Glass that will astonish you. The awesome beauty will dazzle you as never seen before. Please Don't Forget to Bookmark Us! 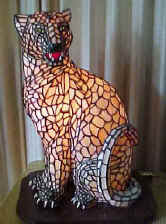 Copyright © 1998 Animal Sculptures & Stained Glass Lamps. All rights reserved. Revised: July 14, 2010.